This one is so hot it almost sizzles! 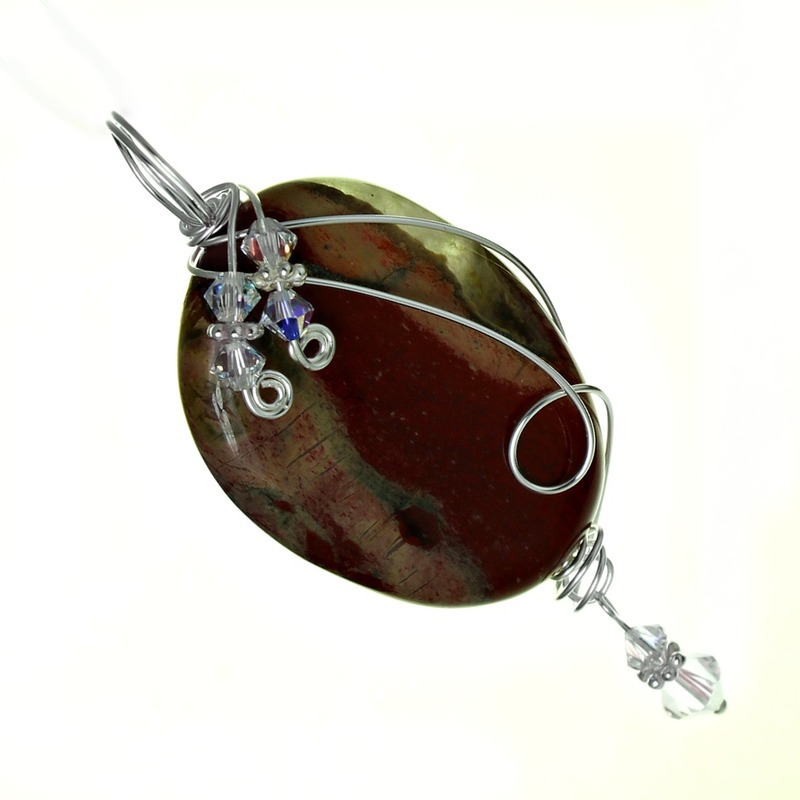 Rainbow Jasper is the focal point of this bold pendant. Usually found in Africa and India, this beautiful jasper radiates with warm sensual colors. A truly great addition for any wardrobe! What one word describes these pendants best? Each pendant easily slides on and off any Shugies hand crocheted necklace so that You decide what look you want each day. They can also be worn on any gold or silver chain you already have as well as ribbon, leather or cord necklaces. Each pendant is one of a kind! These are not mass produced – I hand wire wrap each stone or shell and finish each pendant with genuine Swarovski crystals for that touch of sparkle! Wrapped with non tarnish silver plated wire. Pendant measures 2 7/8″ total length. Go Ahead …Add a little Swirl to your day!